On March 19, 2011 the Lake Erie water temperature (degrees F) off Toledo was 38, off Cleveland was 34, off Erie was 36 and off Buffalo was 32. >With the loss of the Daniel Parks Dam on the Chagrin River in 2004 and now the failure of the Gates Mills Dam, the Chagrin River is getting back to its original free flowing nature (there is still a low-head dam on the East Chagrin River near Kirtland, OH). Benefits will include more upstream areas to fish for steelhead (at least 7 miles of water), potential natural steelhead reproduction in headwaters and improvement of streambed ecological systems directly downstream of breeched dam. A number of factors contributed to this reduction including: renovation at the Castalia State Fish Hatchery (the facility will not be able to incubate eggs until renovation completion in late 2011 or early 2012), a reduced/strictly all fingerling source of juvenile steelhead from Michigan (only 275, 000 fingerlings were available due to a shortage in Michigan) and some mortality from cold water disease at the Castalia hatchery. Kayle believes that this should not have a significant impact on future steelhead runs due to natural variables that typically occur in the Lake Erie ecosystem from season to season. In 2012 the ODW plans on getting back to its targeted number of steelhead plantings which is around 400,000 steelhead smolts. 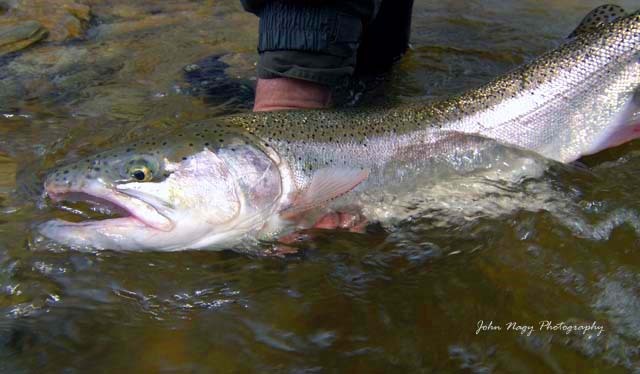 In Pennsylvania, biologist Chuck Murray of the Pennsylvania Fish & Boat Commission (PF&BC) related that he found no surprises in regards to examination of returning steelhead and brown trout in the nursery waters of Trout Run last fall. Steelhead examined for lamprey wounds revealed a rate of 18%, with 2.8% having fresh wounds. This is comparable to other areas of the Great Lakes right now. 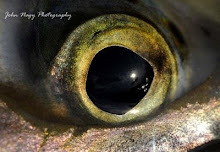 The Great Lakes Fishery Commission (GLFC) has found that lamprey populations have significantly increased in the last few years (last year was the highest population total on record, with this year coming in second). One cause of this could be an increase in new habitat for lamprey natural reproduction (but at this point the GLFC doesn’t know). Murray also found very few mature brown trout in the Trout Run nursery waters. Most were jacks with some 16-18 inch fish. The PF&BC began stocking brown trout juveniles in 2009 and 2010 with larger, mature brown trout expected to return in greater numbers in the fall of 2011. In New York, the Chautauqua Creek Dam Modification Project has been delayed again as a result of the US Army Corp. of Engineers (USACE) requesting more matching funds ($50,000) from the NY State Department of Environmental Conservation (NYSDEC). As a result, contracts for completing the project will be awarded this summer (2011) with construction starting in 2012. NYSDEC biologist Jim Markham continued his wild steelhead assessment studies on Chautauqua Creek this past summer (2011). This “pre-passage” monitoring will be invaluable for determining any increase in wild steelhead natural reproduction after dam modifications are complete (which is the primary goal of the Dam Modification Project). A meeting held on March 15, 2011 between the NYSDEC and the USACE updated the present status of the Cattaraugus Creek Restoration Project. The Springville Dam stability study by the USACE has been completed. The study has brought mixed reviews, with the NYSDEC feeling that the dam meets standard to high levels for stability (which would make installation of fish passage device on the dam a viable option for the restoration project). The USACE recommend the dam have some repair work and/or a reduction in the level of the dam by 50% for a fish device passage device installation. The next phase of the feasibility study by the USACE involves back sediment analysis on Cattaraugus Creek near the Springville Dam. All feasibility studies for the Cattaraugus Creek Restoration Project should be completed by 2013 according to Jim Markham of the NYSDEC. 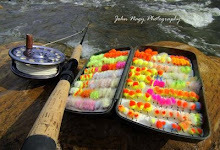 More detailed information on steelhead fishing in the Lake Erie Region can be found in John Nagy's book "Steelhead Guide, Fly Fishing Techniques and Strategies for Lake Erie Steelhead". 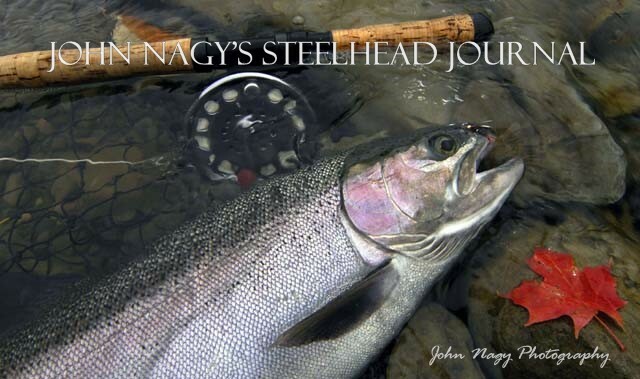 Look for John Nagy's new book "Steelheader's Journal" coming out later this summer (2011).